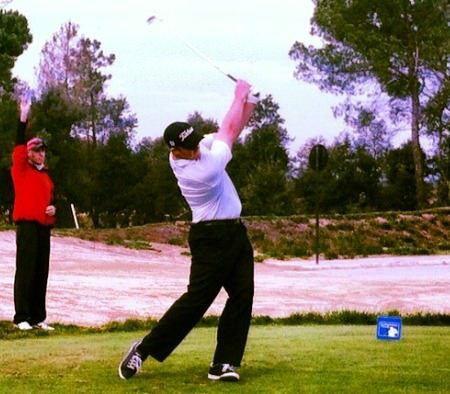 Chris Devlin made a huge move when he fired a seven under 64 the third round of the Q-School Second Stage in Spain. ﻿Simon Thornton fired a six under 66 and Ballymena’s Chris Devlin a seven under 64 as scoring turned red-hot at all four venues in the third round of the European Tour Qualifying School Second Stage in Spain. Royal County Down man Thornton moved up nine places to grab a share of the lead at El Saler in Valencia on six under par as Waterville’s David Higgins moved up three sports to tied seventh despite shooting a three under 69. Gareth Shaw’s two under 70 moved the Lurgan talent up nine places to 22nd on two over at the same venue as Ruaidhri McGee’s hopes suffered a serious blow with a 74 dropping him to 36th. Only 17 players from each venue are guaranteed their places in the Final Stage later this month and play-offs will be necessary to decide alternate status for the rest before the exact number of qualifiers is decided following the final regular event of the European Tour season in Hong Kong next week. Devlin made a big move at Las Colinas in Alicante where he carded a bogey free, seven under par 64 to move up 14 places to joint sixth on seven under. Mark Murphy shows his injured wrist after the second round. He had pain killing injections and managed to tee it up in round three. But it will be a real battle for the other Irish in action there as Brendan McCarroll’s level par 71 dropped him 12 spots to 25th on one under while a 70 by Waterville’s Mark Murphy, playing on painkillers after believing he had torn ligaments in his wrist in Thursday’s second round, saw him slip 10 places to 40th on one over. At El Valle in Murcia, Douglas’ Peter O’Keeffe (72) and Limerick’s Tim Rice (70) are teetering on the qualifying mark in joint 15th while Cian Curley could only move up 19 spots to 40th despite his gutsy, three under 68. It’s looking good for Royal Dublin’s Niall Kearney at Lumine in Tarragona, where a four under 67 boosted him to joint fifth, just two shots behind leader Martin Sell on 10 under. 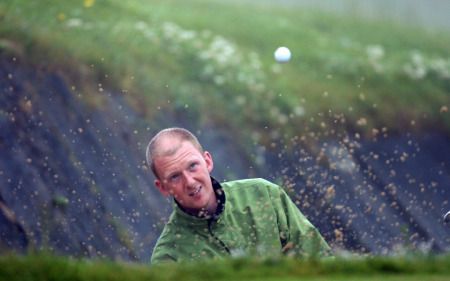 But Clandeboye’s Jonny Caldwell and Ballinsaloe’s Mark Staunton need to go low in Saturday’s final round to keep their tour card dreams alive. 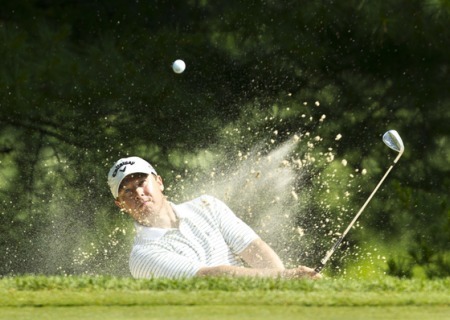 Caldwell’s 70 left him at least two shots off the qualifying pace on three under while Staunton’s 71 saw him fall 11 places to 36th on two under. As for British Amateur champion Alan Dunbar, he made five birdies but still carded a two over 73 to remain 76th on 13 over. Neil O’Briain is looking good at stage two of the Q-School. Picture by Jenny Matthews/www.golffile.ieJust two Irish players are bang on course to make this week’s European Tour Qualifying School Finals with just one round to go at the second stage in Spain. More than 300 players, across four venues in southern Spain are bidding for a place at the six-round final stage at PGA Catalunya near Girona from December 10-15. But with only today’s fourth and final round remaining, only Dubliner Neil O’Briain and Galwayman Mark Staunton are inside the top 20 who are sure to progress from each venue. David Higgins is closing in on his tour card. Picture Eoin Clarke/www.golffile.ieClandeboye’s Jonny Caldwell survived a three-hole playoff to keep his European Tour dream alive and give Ireland four runners in the Q-School finals from December 10-15. Waterville’s David Higgins and Limerick’s Cian McNamara qualified with a shot to spare at Las Colinas Golf and Country Club in Alicante while Ballymena’s Chris Devlin fired a brilliant, four under 67 to finish two shots inside the mark at El Valle in Murcia. Mark Staunton opened with a three under 68 to share ninth place at Lumine in the Second Stage of the European Tour Qualifying School.PGA Irish Region regulars David Higgins and Mark Staunton were the best of the 16 Irish hopefuls after the opening round of the European Tour Qualifying School Second Stage in Spain. Higgins on Q-School pressure: "You only have one chance"
Stand and deliver. 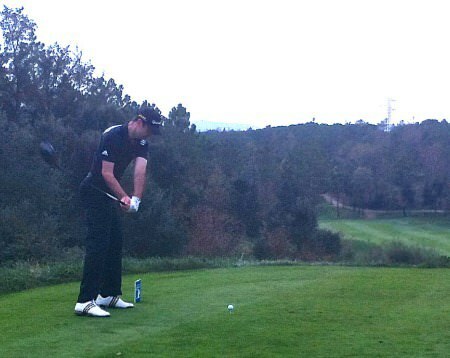 Niall Kearney rips a great drive down the first on the Stadium Course in the third round of the European Tour Qualifying School final stage at PGA Catalunya Resort.Simon Thornton loves the challenge but David Higgins believes you’d have to be mad to say you enjoy the experience of battling for you livelihood in the marathon European Tour Qualifying School.